One of God’s many names is The Ancient of Days. He is the keeper and controller of Time. Why did God create real-time? Why did He enter into a Covenant with mankind? Why are we forbidden from participating in space-time? Human curiosity about outer-space and space-time arises out of man’s insatiable search for knowledge, but that search can sometimes lead to dangerous places. God created real-time to protect us from a dangerous alternative: space-time. He initiated the `Owlam Beriyth (Veiled-Time Covenant) to save us from interfering in our physical and spiritual perfection. God’s Covenant is intended for all mankind, regardless of race or religion. 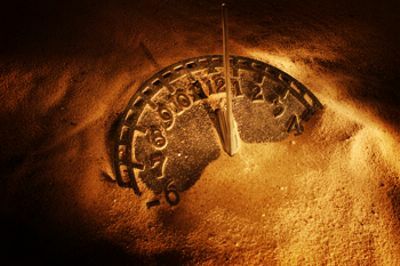 The need for a Time Covenant arises because, repeatedly, throughout the ages, God’s time-system is challenged. Certain sects have kept a dark secret, one that has enabled them to amass tremendous wealth and steal the reigns of power in this world. They have stepped out of the natural process of Nature and they go back in Time. Split-time, frozen time, space-time, whatever name they use to present to the world, this partial knowledge of Time, will be hailed as the greatest discovery ever made, however it will be a sad day for mankind. It will claim to offer immortality. It will claim to be “natural” because it has always existed. It will speak defiantly against old age. The denizens of space-time have created a glittering counterfeit, a dazzling harlot to deceive us. Do not be tempted to look at it. Do not be tempted to take a single peek at their Arcadia/Purgatory/Space-time. The sophistry of Arcadia exceeds the furthest reaches of your imagination; one look at their counterfeit world all is lost. Who among us could resist a world that has been created to simulate Heaven? And yet, with all the razzle-dazzle of their space-time world, they have not achieved the remotest reflection of the one true Heaven: The Morning Star. Space is not Heaven. Space-time is not Heaven. ‘Split-time’ is not Heaven. Heaven is the word used for the planet, which occupies the spot, which is presently occupied by Venus. God did not bestow knowledge of time travel to us at our present stage, or it would be ‘common knowledge’. Time travel has always been possible, and it has always been forbidden. Indeed, knowledge of time travel is the forbidden fruit of Eden: to eat of it means certain banishment. Men walk through the wrong doors every day, and they are tempted with the forbidden fruit; sadly, when the ‘mythos’ of Eden becomes their reality – as with our progenitors – almost all men fail. In Genesis God gave man dominion over Earth, in Daniel, we are told that a sector of society loses dominion ‘yet their lives were prolonged’. The biggest temptation spacetime has to offer is the extension of man’s lifespan to a thousand years or more. People may doubt now that we will be offered prolonged life but they will not doubt for much longer. 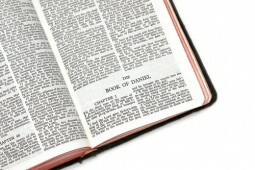 The prophecy of Daniel will unfold before our eyes. One who speaks against God will rise, and he shall wear down the resistance of God’s saints, and nullify God’s Law of progressive time and change God’s Law of consecutive seasons. He shall literally divide (split) time and endorse space-time. Space-time will be endorsed by the Catholic Church because it is no longer the Church of God, rather, it is in the hands of the Illuminati. And space-time will be endorsed by governments because they are controlled by the Illuminati. The ‘Past Masters’ and ‘Grand Past Masters’ of the secret sects do not observe day and night in their season (order). They have garbed their secret in the robes of a mystery religion and entrusted it to the senior members of their secret societies. They have long since broken their covenant with the “Ancient of Days”; they have changed times and laws. They have divided time. Jer 31:35-36 Thus saith the LORD, which giveth the sun for a light by day, and the ordinances of the moon and of the stars for a light by night, which divideth the sea when the waves thereof roar; The LORD of hosts is his name: If those ordinances depart from before me, saith the LORD, then the seed of Israel also shall cease from being a nation before me for ever. The Hebrew word ‘eth’ which is interpreted in the above passage as ‘season’ doesn’t mean ‘season’ at all, it means ‘usual order’. ‘eth’ derives from ‘ad’ which means ‘continuing future.’ And ‘ad’ derives from ‘adah’, which means ‘advance’ and ‘go forward’. We are covenanted to observe day and night in their usual order, and going in another direction, is forbidden. Time-travel is the biggest, the deadliest, the best kept secret in the world. Space-time is not waiting to be discovered. Right here on Earth, mankind has long understood space-time, but those who understand it have kept the knowledge hidden. Among those who have the knowledge are: The Jesuit Order; Cardinals of the Catholic Church; monarchs and ‘nobles’; Bilderberg’s; Levites (the descendants of Levi, one of the tribes of Israel, also known as ‘the children of Jacob’ Genesis 29:34); the members of a secret order who consider themselves to be among the ‘children of Jacob’ and the Illuminati. When they speak of the ‘world’ they refer to the ‘orbit’ wherein our earth revolves. The Bilderberg’s are blatant ‘in your face’ controllers who, while serving alien ‘masters’ nevertheless like to think of themselves as the elite ‘steering committee’ of our Earth. Reality is the time zone wherein one is born. At this point in mankind’s evolution, two realities directly impact our life experiences. The above categories of persons move between time zones and thus experience ‘reality’ in two ‘times’. The people who move between time zones have the ability to secretly impact the lives of mankind, and they have used their ‘knowledge of times’ for personal profit and power. They idealize themselves as being the ‘guardians’ of mankind and strangely succeed in convincing themselves that they have the welfare of mankind at heart, but that is just balm for their egos. They have kept their knowledge hidden and used it to gain financial and political control over the world and mankind. All the subterfuge, the scheming and conniving, must end; if it does not end, mankind might not make it to the next stage of progressive evolution. Rather many could be caught up in the terrible downward spiral of retrograde evolution, also known as ‘devolution’ (from whence come the terms ‘devolve’ and ‘devil’). The word ‘devil’ implies moving backward through life, living in the reverse. ‘Devil’ is the word ‘lived’ spelled in the reverse. These people know much of the truth, but not all, to know all one must die in this body and evolve into a higher life form, a life form that can live closer to the Sun, the Angels (we cannot see them, but they are there, and they always occupy the Morning Star in any solar system). The day draws near when time travel will be announced as ‘a new thing’ and we will all be tested, as were Adam and Eve. But the consequence of time travel will not be revealed, it never is. How many will partake of the fruit in their hope to be as gods? For as many will learn, over the course of a thousand long years, that to be ‘as’ gods is not to be gods. John 2:19 They went out from us, but they were not of us: for if they had been of us, they would no doubt have continued with us: but they went out, that they might be made manifest that they were not all of us. Shun the dark spirits and their technology. Stay in this world and live in the reality that we are accustomed to, the reality created by God and detailed in Genesis Chapter 1. Stay in this reality of the 24 hour Day, the seven Day week, the 12 Month Year, for this is God’s reality, and this Time structure was formed by the Great Spirit to protect His/Her children. When you hear of another method of reading time and a method of prolonging life, then we have entered the era of the antichrist. John 2:18 Little children, it is the last time: and as ye have heard that antichrist shall come, even now are there many antichrists; whereby we know that it is the last time. The end will come, and those who greet it with joy, as the dawn of a new and blessed age, will reap the promise of God, in Heaven. The end will come as it always has, and those lost souls who run from it will fail utterly in all they strove for since the beginning. They will run and try to hide in the past, in time gone by, but they will fail because there is no corner, nor spot, within the Universe and beyond, which is concealed from God. They are the faithless who break their covenant with God. They are the transgressors of God’s laws, who having taken all the Land has offered and forsake the Land. Bar 4:12 Let no man rejoice over me, a widow, and forsaken of many, who for the sins of my children am left desolate; because they departed from the law of God. Bar 4:15-26 For he hath brought a nation upon them from afar, a shameless nation, and of a strange language, who neither reverenced old man, nor pitied child. These have carried away the dear beloved children of the widow. Go your way, O my children, go your way: for I am left desolate. I have put off the clothing of peace, and put upon me the sackcloth of my prayer: I will cry unto the Everlasting in my days. My delicate ones have gone rough ways, and were taken away as a flock caught of the enemies. Apocrypha: 2Esdras 10:9-14 For ask the Earth, and she shall tell thee, that it is she which ought to mourn for the fall of so many that grow upon her. For out of her came all at the first, and out of her shall all others come, and, behold, they walk almost into destruction, and a multitude of them is utterly rooted out. Who then should make more mourning than she, who hath lost so great a multitude? Or the mother who has lost one son? But if (the mother who hath lost one son) sayest unto me, ‘My lamentation is not like the Earth’s, because I have lost the fruit of my womb, which I brought forth with pains, and bare with sorrows; But the Earth not so!’ Then I say unto thee, Like as thou hast brought forth with labor; even so the Earth also hath given her fruit, namely, man, ever since the beginning unto Him that made her. A statute (Law) will have been changed, Time, and those that travel into Time to escape the Great Purification to come will have broken their covenant age-during with God. GOD’S purpose in locking us into genetic time-frame is wonderful and its end is perfection. We are locked into the genetic time-frame that we may evolve to become angelic beings, but soon the door to another time-frame will be unlocked and you will be faced with a simple choice: progression or stagnation. Evolution need not be a point of contention for those who believe in the Bible: GOD created man on the sixth day, and on the sixth day man was still a primal creature, and as time progressed, so did man. Man’s evolution is locked into the forward progression of time. Progress is not found in the past, on the contrary, the future is only found by never returning to the past. Be like Lot, don’t look back…look forward.